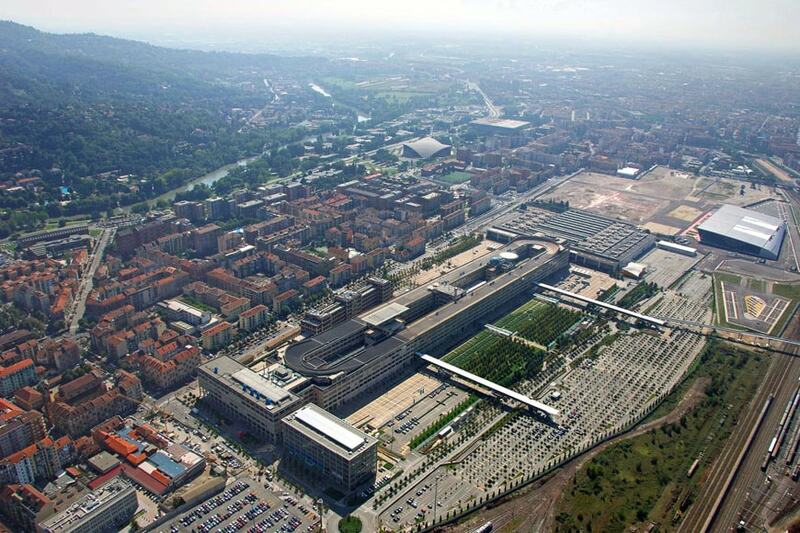 The Pinacoteca Giovanni e Marella Agnelli is a private art museum in Turin, located on top of the Lingotto former car manufacturing plant. 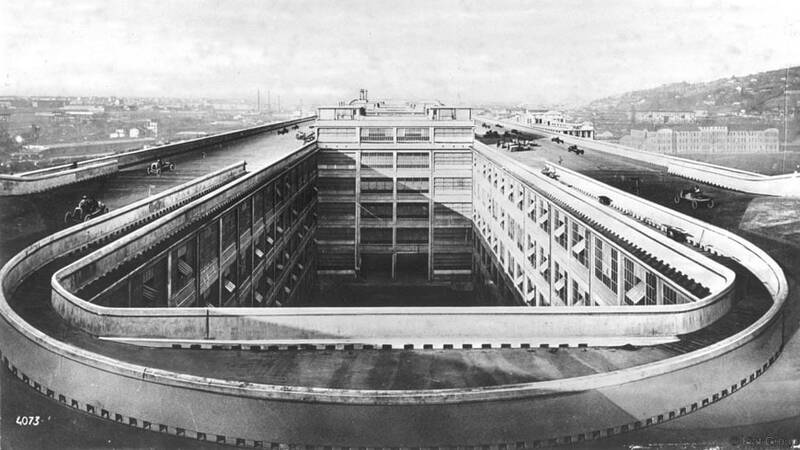 The Lingotto, once the main factory of the automobile manufacturer FIAT, was designed in the 1920s by engineer Matté Trucco; the one million cubic meter building was famous for its imposing industrial architecture as well as for the futuristic vehicle test track placed on its rooftop. 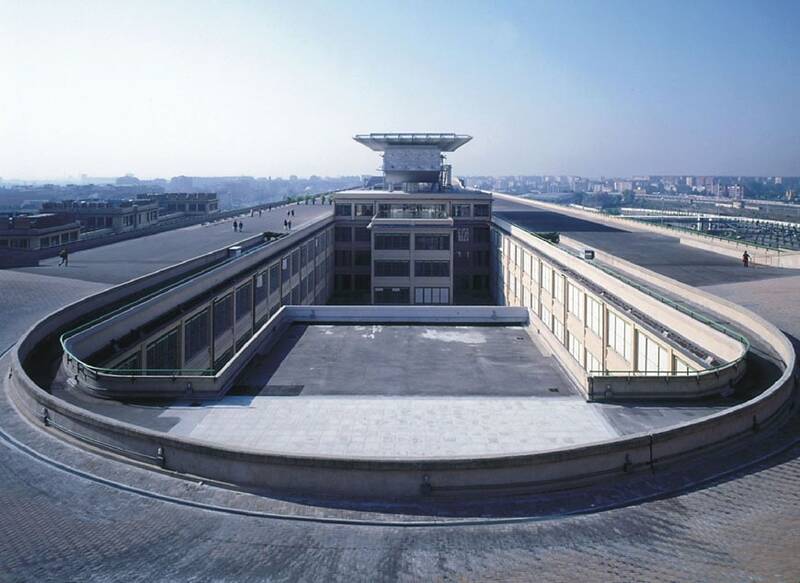 After being dismissed in 1982, the Lingotto was fully renovated and converted into a multifunctional center after a design by Italian architect Renzo Piano, as the winner of an international design competition organized in 1984 by Fiat. 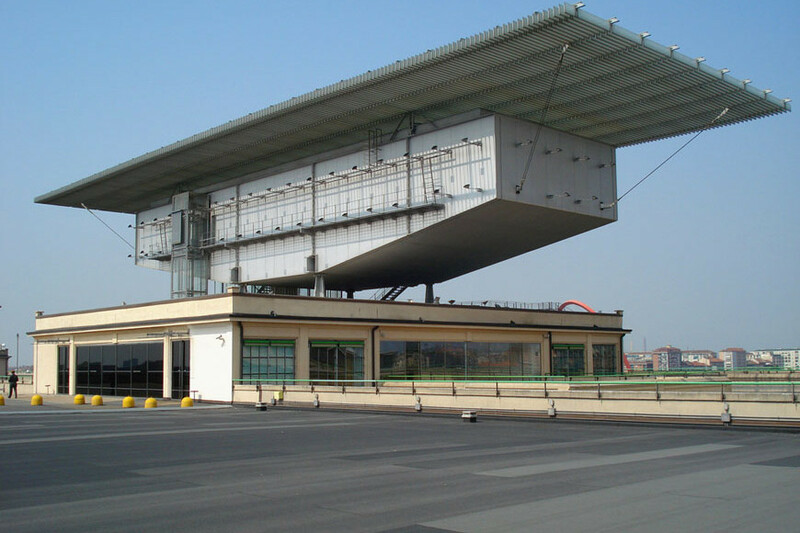 Piano’s design left the building’s exterior largely unchanged, while it completely transformed the internal space to accommodate an exhibition center, an ice skating arena, a convention center, theaters, restaurants, a shopping center, a hotel, a department of the University of Turin, and the Pinacoteca Agnelli. 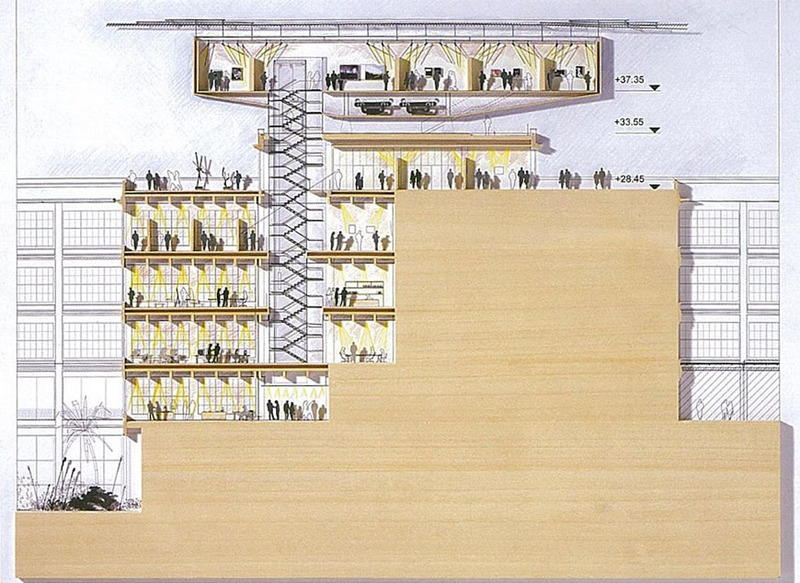 For the Pinacoteca, Piano designed a six-story venue, including an addition located on the Lingotto’s rooftop, which houses temporary exhibition spaces, a library, an art education center, offices, a bookshop and, on the sixth floor, a permanent exhibition space known as Lo scrigno (the Jewel box). 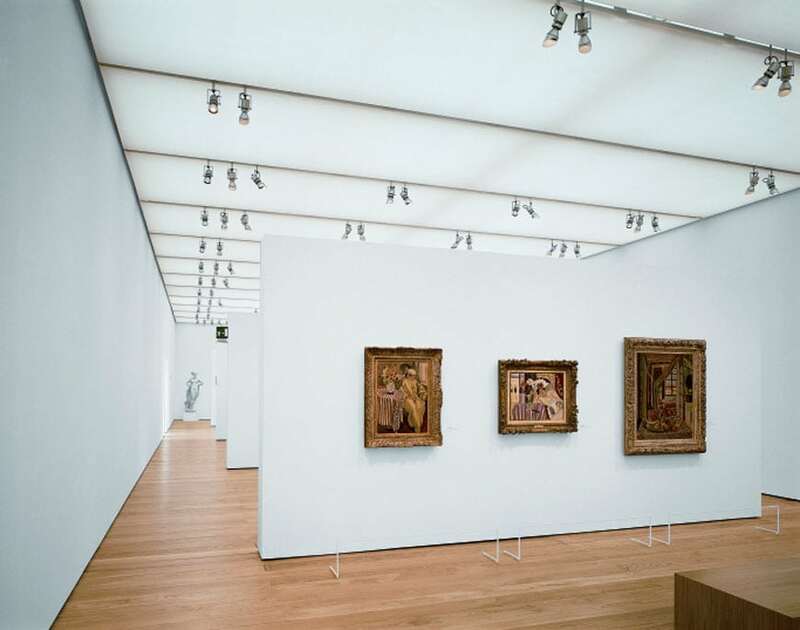 To illuminate the exhibition with natural light, Piano conceived a semi-transparent roof , he nicknamed il tappeto volante (the magic carpet), composed of 1746 louvers made in glass, coupled with motorized aluminum slats, an array of sensors and an artificial lighting system, which maintain a constant illumination of 250 lux on the artworks, independently from the external conditions. 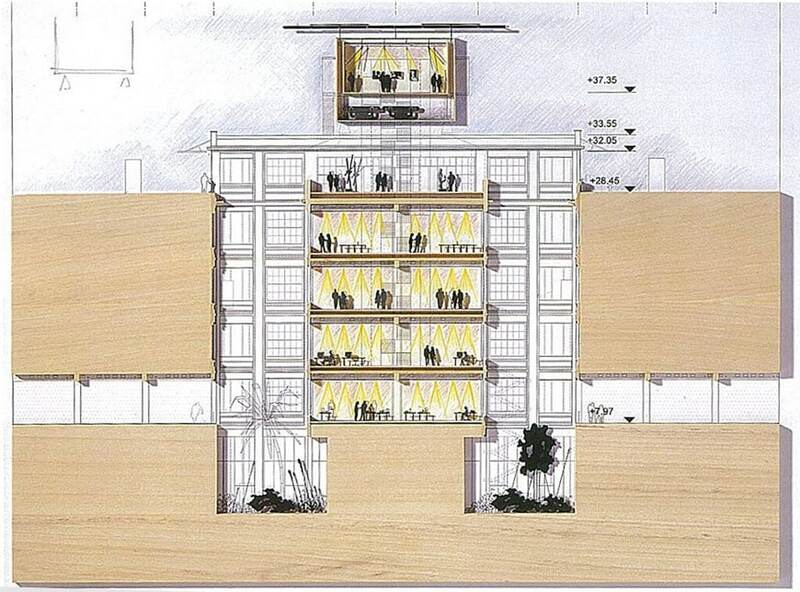 Opened to the public in 2002, the “jewel box” houses a permanent collection composed of 25 artworks from the private collection of industrialist Giovanni Agnelli (1921- 2003) and his wife Marella (b. 1927). Works on view include paintings by Giambattista Tiepolo, Canaletto, Giacomo Balla, Edouard Manet, Pierre-Auguste Renoir, Henri Matisse, Pablo Picasso, and Amedeo Modigliani, and two sculptures by Antonio Canova. 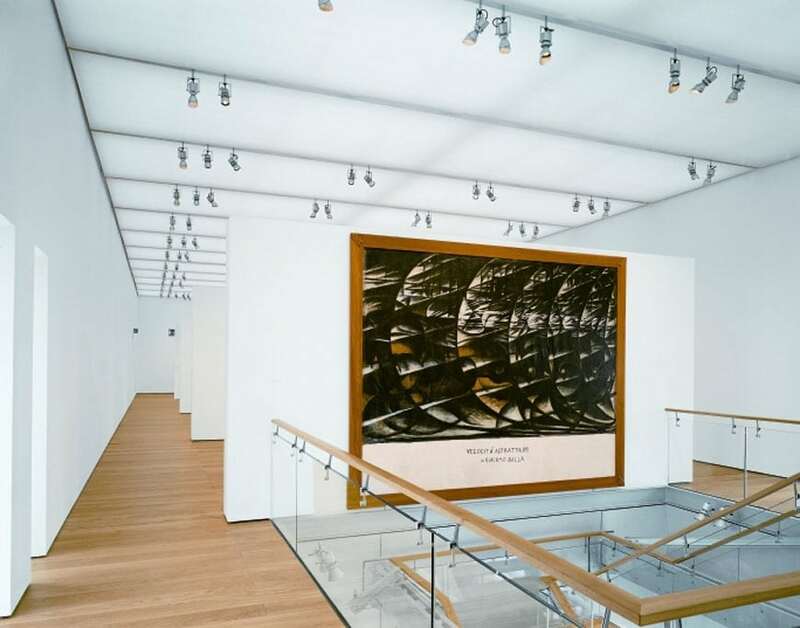 The Pinacoteca Agnelli activities include temporary exhibitions, lectures, educational classes, workshops, and special events. Cover photo by Truus, Bob & Jan too!